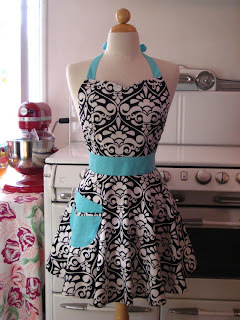 Is it strange that I'm wishing for an apron right now? The roommate and I had a baking adventure the other day. We made cupcakes (pictures to come later) and if I do say so myself, they came out quite gourmet. 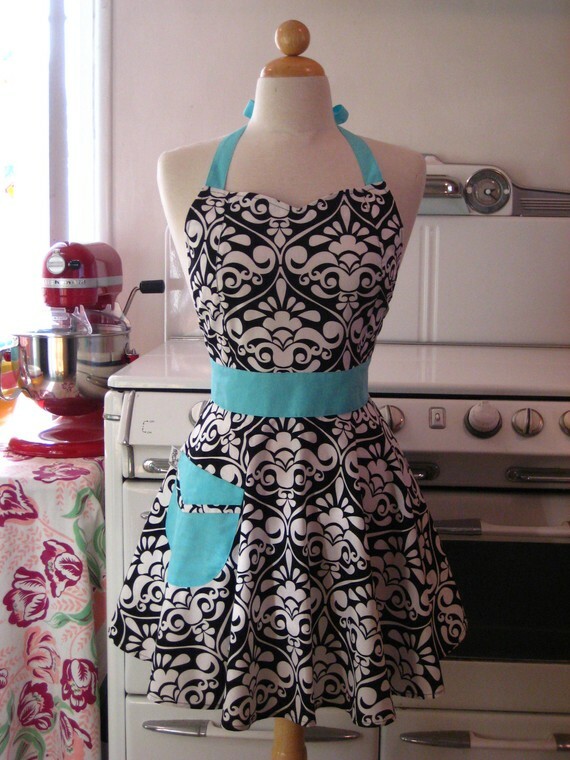 But all the baking made me want an apron so I went to etsy and found the cutest artist's aprons right here. 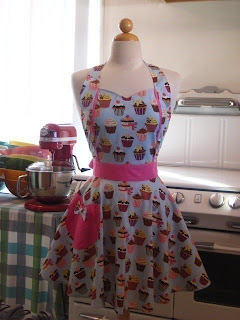 I really loved the ones with cupcakes and the black and white pattern with adorable blue details. Maybe I'll buy myself one someday!